Now Offering Same Day Carpet Cleaning Anaheim Hills. If you live in Anaheim Hills, you experience both a magnificent view and a large home. When you have a large home, it means you also have a large amount of carpet. Therefore, periodical carpet cleaning is highly recommended. We, Dr. 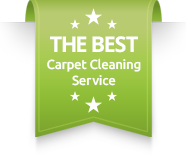 Carpet Irvine, understand the need for same day carpet cleaning Anaheim Hills. Many of you are hard working professionals who work on a tight schedule. Moreover, We offer upholstery cleaning service Anaheim Hills and air duct cleaning Anaheim Hills. In addition, we offer many more services for your convenience. In order for you to keep a clean air and atmosphere in your house, you must consider also upholstery cleaning. Every time we sit on the sofa or couch we let loose of a dust cloud in the open space. Moreover, when you sit on the upholstery your body will generate sweat and moisture that would also linger on. Therefore, the dust and the moisture combine and create black spots on the upholstery. In addition, when you eat and drink on the upholstery you tend to spill and drop food. So, food and drink stains will appear. We offer green upholstery cleaning to your sofa and couch. We will leave your upholstery fresh and clean for a longer time. Call for upholstery cleaning Anaheim Hills solutions. Air Duct Cleaning Anaheim Hills. More than carpet cleaning and upholstery cleaning, you have another major source of dust and allergies in your home. Air duct vents and the main return are a big cause in your house for dust in your space. Contact us for more information about air duct cleaning Anaheim Hills. Also, we offer same day air duct cleaning service in Anaheim Hills. Dryer Vent Cleaning Anaheim Hills. Our dryer vent cleaning Anaheim Hills is among our most important and vital services for you to keep in mind. Dryer vents get clogged often, and that means they could catch on fire. Therefore, contact us to come and clean up the entire dryer vent for you. 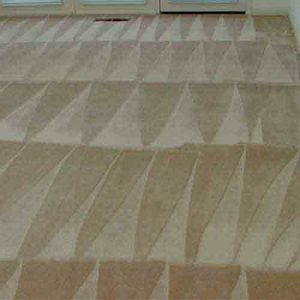 For more information about carpet cleaning Anaheim Hills, please contact us today.